This work considers fundamental performance limits for single and multiuser channels on time-varying (fading) channels. We consider systems which are burst-oriented along the lines of GSM and IS-54. We examine the benefits of exploiting channel feedback to vary transmit information rate/power in a single-user (or orthogonal multiuser) scenario. It is shown that significant increases in spectral efficiency can be expected over constant-rate systems. Even in the latter case, however, higher spectral efficiencies can be expected if high outage probabilities are tolerated. For the general multiuser case, channel feedback can be used to exploit multiuser diversity, which can be seen as a form of selection diversity. We show that the optimal multiple-access method in terms of spectral efficiency is channel-controlled TDMA/FDMA. 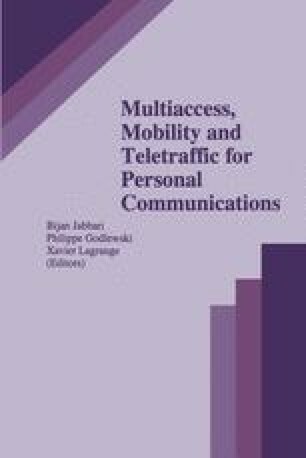 We discuss some practical issues concerning channel-controlled multiple-access.